B01E - Viewing Profile: Topics - SixtyGig - The Minecraft server for mature gamers. I vaguely remember something about it not being a good idea to make signs on the wilds map, if you didn't plan on taking them down before the reset, because the sign would stay behind and be visible on the new map. If so, I would very much like to know now, so I can take the long treks without a specific timelimit. I have noticed that nether gets reset every month. Why? The player base right now would suggest the nether be reset every 3 months. I haven't seen any depletion of quarts or glowstone (which can be obtained in the witch farm easy), so why not only reset every 3 months - and sooner on demand. I think this might encourage people to build stuff in the nether. Not just farms, but maybe a nice portal house, some rails and maybe something larger. I know that I mentioned in an earlier post, that I didn't want to build in the nether, but that was in the permanent nether. I don't have plans for a huge nether castle. A reset nether that lasts 2-3 months would be more interesting for me, and having a bit more time with it would make me build something there. 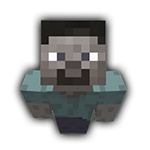 Am i the only one interested in a nether that resets less often? A little conundrum has appeared near Jeff's build. Specifically at the end of his railline from the southeast portal to his build. All the rails going from the tunnel and up into the build has mysteriously disappeared. It looks very suspicious and very much like someone needed some powerrails and forgot to ask first. Does anyone know who needed to borrow the rails? And if you are the one who borrowed them, could you please return them now? I have been searching wilds for Podzol, Mycelium and Packed Ice. It seems to be just outside the current border in the wilds. If the border is expanded 1000 blocks we can get the Packed Ice, and podzol. If we expand 1500, mycelium is avaliable. I wanted to know if anyone else is interested in an expansion, so now I post here on the forum. I for one would like to have the border expanded another 1500 blocks, even if just for 2 weeks (or a limited time), so the strain on the server is not too bad. Then it can be taken back to the current place. 2 weeks will give me enough time to make a trek out there, and bring back enough to last me a while. Mycelium can spread, so that trip only has to be done by one person, and a garden could be set up in the hub. Am I the only one? Please post your comments below.